2 copper washers - 1 1/4 inch outside diameter, 7/8 inside, 24 gauge. They have a hole for hanging I've hammered them then hand applied a multi layer patina that I call Tideline. I seal them with several coats of lacquer to protect the surface patina. 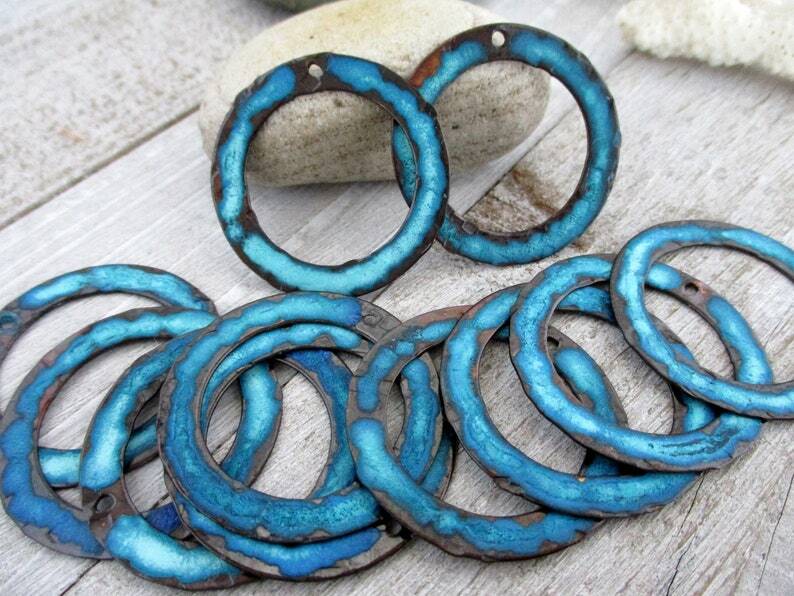 Use these wonderful findings as connectors in necklaces or bracelets, hang them from earwires, lots of uses for these versatile and bold pieces. Although large, they are lightweight. Fast shipping. These washers are so pretty!